Torr08 - Featuring a mixture of evidently biographical information and more general historical records, this selection of research contains information of as much interest to those studying the Communist Party, or the Labour Movement as a whole, as it is to the student of Tom Mann. Mann's correspondence with George Lansbury, Keir Hardie, John Burns, Peter Kropotkin and Harry Pollitt provides a variety of perspectives covering the development of the Labour movement. Mann's speeches and publications include the Open Letter to British Soldiers for which Mann was imprisoned, his speech to the first RILU Conference, and an interview he gave on the subject of [John Stuart?] Mills. The biographical writings on Tom Mann include Harry Pollitt's first-hand account of the Mann and Pollitt trial. Alongside Wal Hannington's biography of Mann is Torr's first (48 page) biography titled 'Tom Mann'. The first full-length edition of 'Tom Mann' is then followed by tributes to him from authors including The Communist Party of the United States of America. 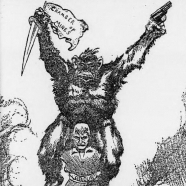 His global influence reached further than the United States however, for this reason the grouping also includes press cuttings relating to China from Mann's time there, leaflets produced by the South African Labour Party, a film strip commentary on the history of the Australian Communist Party, and discussion of whether or not it is practical to form an 'American Labor Party'. Some of the images in this collection of research materials include photographs and cartoons of Tom Mann, as well as photographs of other key political figures. Tom Mann often wrote contributions to journals of the time including the Journal of the Amalgamted Engineering Union, other journals included in this grouping are the Australian journal 'The Socialist' from 1906 to 1909 and the 'Monthly Report'. Other highlights include a letter to Tom Mann which comments on Ramsay Macdonald's percieved influence over Keir Hardie; Tom Mann's letters from prison; discussion of the 1898 unity agreement between the SDF and the ILP; and a letter from Tom Mann to his comrades at Oxford University, expressing his feelings concerning 'the coming trial'. BROWSING 1-10 OF 32 RESULT(S) IN DRAFTING PROCESS FOR "TOM MANN AND HIS TIMES"
CP/IND/TORR/03/07 - Collection of handwritten notes by Dona Torr, plus notebook, typescripts, excerpts, letters, including from Tom Mann and other items used to draft the sections dealing with 1894 -1897. Issues discussed include: the organisation of agricultural labourers, the 1898 unity agreement between the SDF and the ILP, and Fred Hammil advocating the need for an Independent Labour Party. Collection of handwritten notes by Dona Torr, plus notebook, typescripts, excerpts, and other items. CP/IND/TORR/04/01 - Collection of handwritten notes by Dona Torr, plus notebook, typescripts, excerpts, and other items used to draft the sections dealing with Tom Mann's visits to Australia, New Zealand and the USA. CP/IND/TORR/04/02 - Collection of press cuttings on China from around the time Tom Mann was there, with letter home from China, and letter presented to him in China. Tom Mann's correspondence with various labour movement figures including Keir Hardie. CP/IND/TORR/04/03 - Tom Mann's correspondence with various labour movement figures, including George Lansbury, John Burns, Keir Hardie. Also - section of Dona Torr's draft relating to this. CP/IND/TORR/04/04 - Correspondence and notes relating to the draft, and some letters from an anonymous Briton resident in China. Includes images of Tom Mann and Victor Grayson as well as extracts from Colne Valley Labour Party's minutes during 1891 - 1892. "Memories of Tom Mann" by Harry Pollitt, sent to Dona Torr. CP/IND/TORR/04/05 - Harry Pollitt's Recollections of Tom Mann focus on the period after Mann left the post of General Secretary of the Amalgamated Engineering Union in 1921. These include descriptions of his campaigning as a middle-aged man and as he got older; his speaking style; and a first-hand account of the Mann and Pollitt trial of January/February 1934.
Letters, memorabilia, reminiscences and Dona Torr's notes on Tom Mann's visit to Australia. CP/IND/TORR/04/06 - Contents include: Lloyd Ross' recollection of Tom Mann as a young man; personal correspondence with the Mann family; business-related correspondence with Mann; an invite to an event where Mann will be speaking; one of his electoral addresses; his May Day Message to South African Labour; and a sample from his memoirs. CP/IND/TORR/04/07 - MS drafts of chapters 2 and 3 of Volume 2, with some supporting papers and correspondence. This supporting content includes Tom Mann's correspondence from the Secretary of the Australian Labor Party; a sample from 'The Left News for May, 1938'; and a suggestion that one of Tom Mann's colleagues may have been immortalised in the work of Frank J. Hardy. Memoirs, memorials and memorabilia relating to Tom Mann. CP/IND/TORR/04/08 - Memoirs, memorials and memorabilia relating to Tom Mann: souvenir programmes for his 80th birthday, materials for centenary celebrations in 1956, letters, memoir of Mann by Hannington, etc. Tom Mann's 80th birthday, 1936. Souvenir brochures, messages of greetings, etc. CP/IND/TORR/05/01 - Tom Mann's 80th birthday, 1936. Souvenir brochures, messages of greetings from home and abroad. Also - resolution of CPGB CC on the occasion of TM's death, 1941.